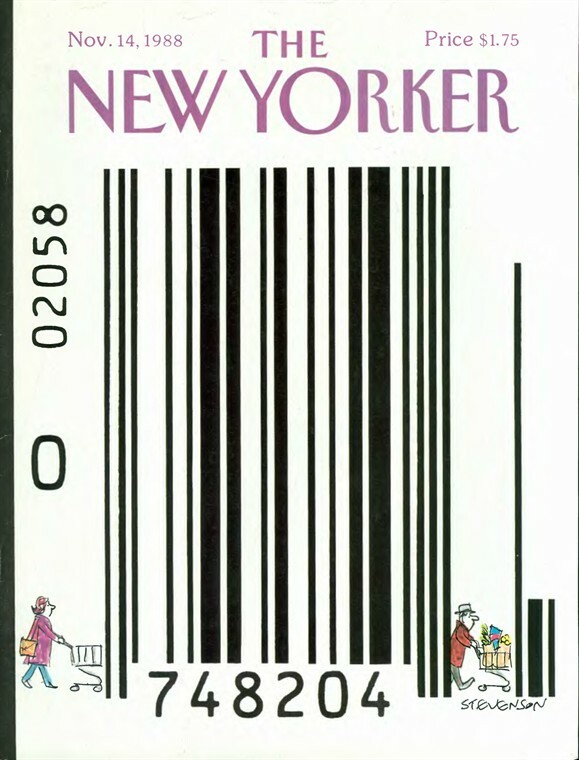 Mr. Stevenson, born in New York City in 1929, found his way to The New Yorker in 1947. He worked for that summer as an office boy, and a part-time supplier of cartoon ideas. Nine years later he was hired by the Art Editor, James Geraghty, as a full-time idea man. 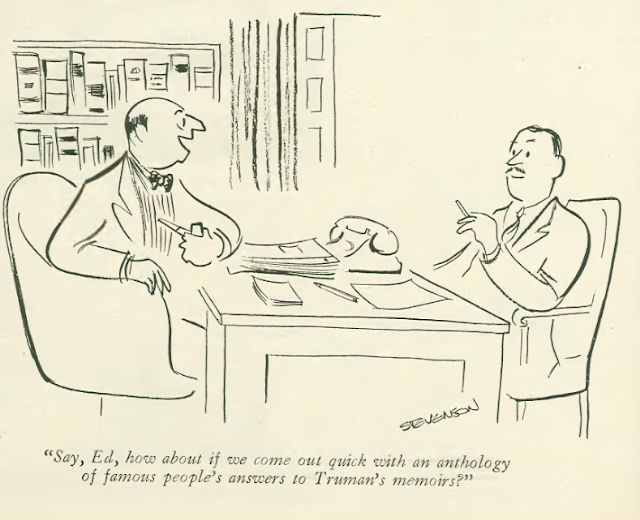 Stevenson’s own drawings were eventually published in the magazine beginning in March of 1956. 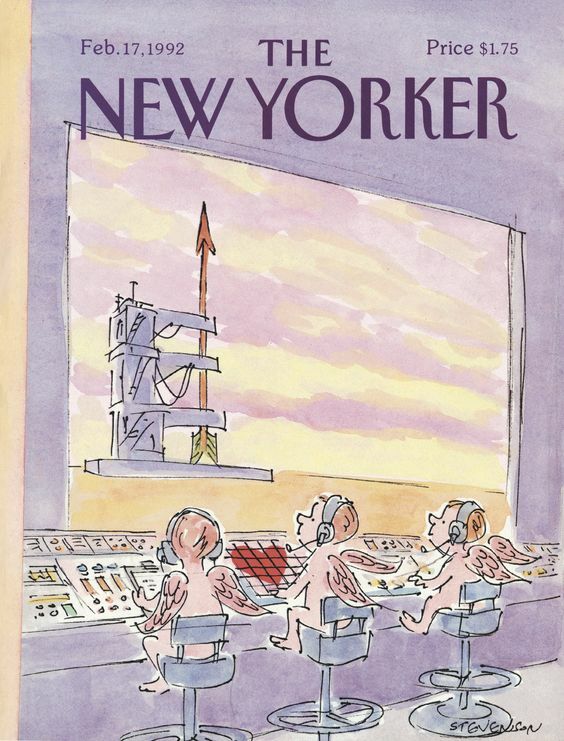 He went on to become one of scant few New Yorker contributors who could say they had contributed written pieces in the magazine as well as covers, cartoons, and illustrations, or spot drawings. James Thurber, Lou Myers and Peter Arno come to mind as the only other members of that club. I once mentioned to Mr. Stevenson how energetic he seemed, considering the amount and variety of his contributions to The New Yorker. In a career at the magazine that lasted 47 years, he published nearly 80 covers. 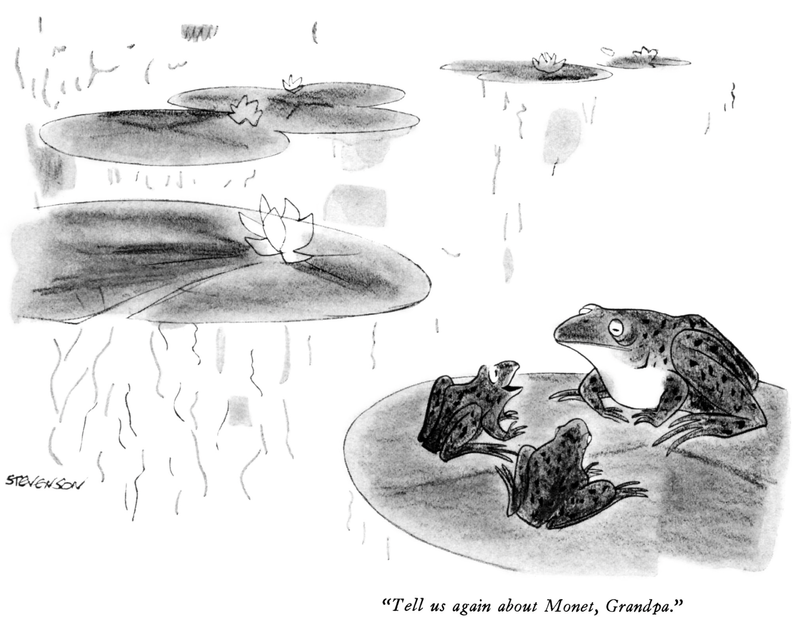 His astounding number of cartoons –1,987 — places him, according to Ink Spill’s calculations, in the top five contributing artists in the magazine’s history (the other four being William Steig, Lee Lorenz, Alan Dunn, and Helen Ho.